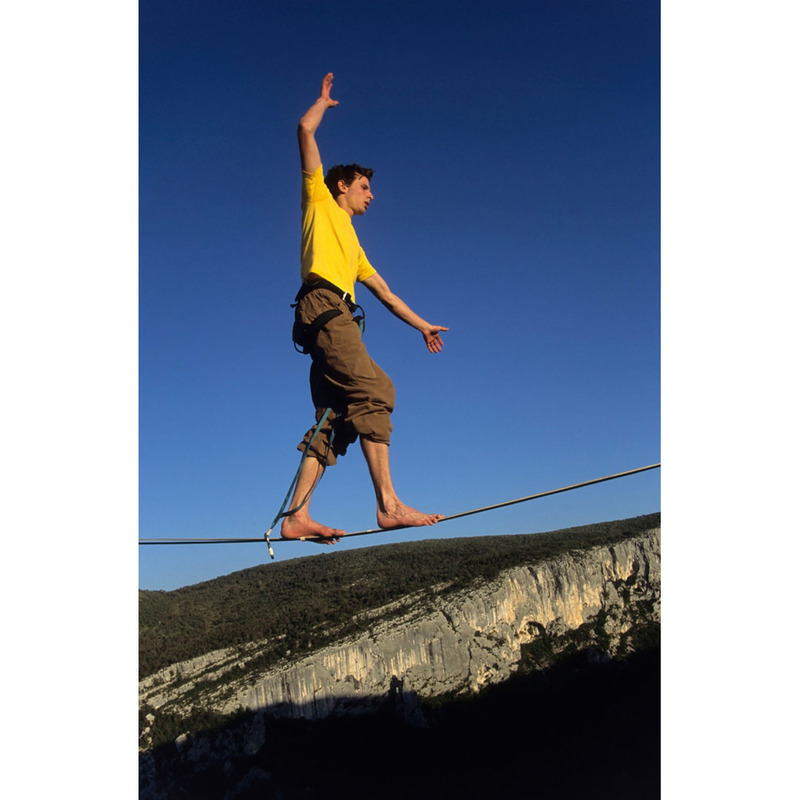 All people need to practice this balance sport are two adequate objects to affix this balance strap to (e.g. trees or poles). This incredibly dynamic sport requires a different set of skills and abilities and encourages people to develop an excellent sense of balance. 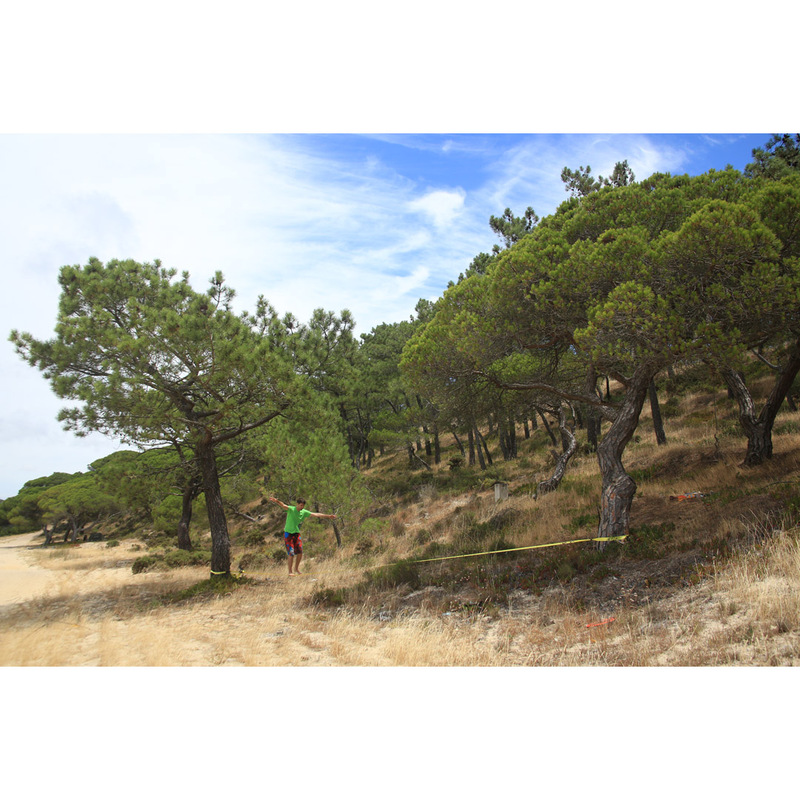 Slacklining also helps climbers, skiers, martial artists, horsemen, vaulters, surfers and many other sportsmen to develop good reflexes and an excellent sense of balance. 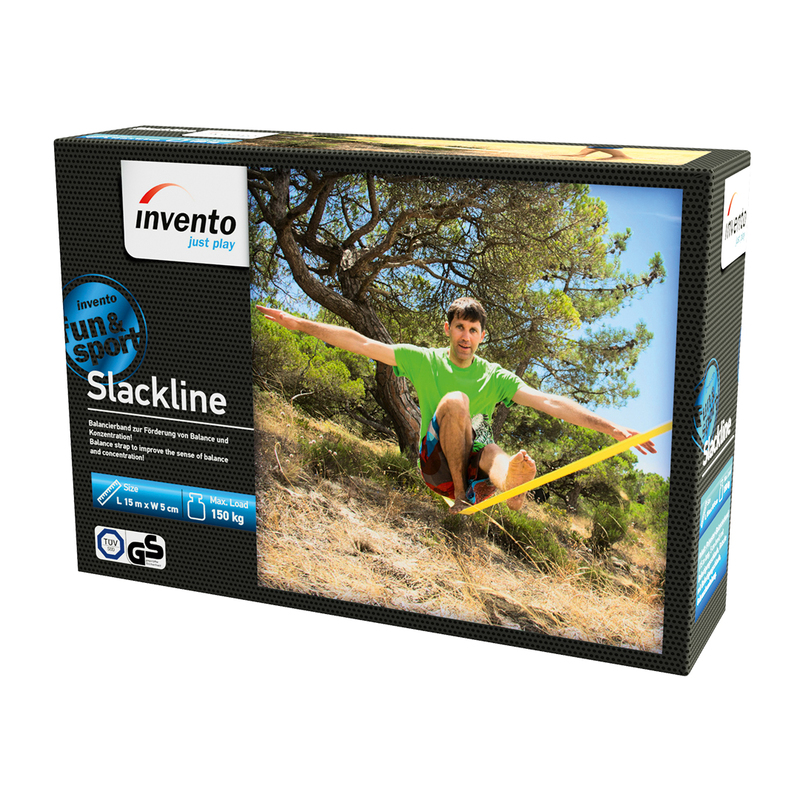 With a width of 50 mm our slack­line is easy to handle and enables unexperienced slackline enthusiasts to experience this great sport. 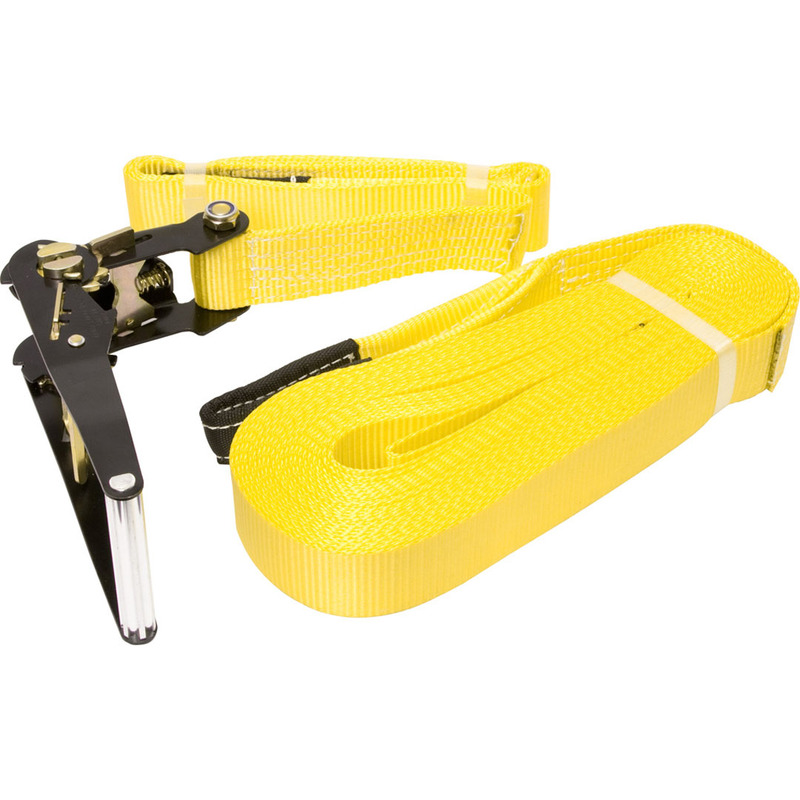 Strap: Retaining strap (Polyester) with protected mounting loops, 50 mm (2.0'') wide, 15 meters (49 ft) long. Ratchet: Mounted on 50 mm (2.0'') wide and 2 meters (6.6 ft) long retaining strap with protected mounting loop.